Back and neck injuries can be the result of a car accident, a slip and fall accident, a workplace injury, or due to a sports injury. Every year, many individuals suffer back or neck injuries that require them to miss time from work, undergo medical treatment, or experience pain and suffering as a result. Back and neck pain can interfere with every aspect of your everyday life. It can affect your ability to work and your ability to engage in regular life activities. If you’ve suffered a back or neck injury in Cedar Rapids, Iowa, Eells & Tronvold Law Offices, P.L.C. are back injury attorneys who may be able to help you seek a recovery for your medical costs, lost wages, and pain and suffering damages. Back and neck injuries can be tough to treat because the damage may not be visible on x-rays or scans. Muscle and ligament damage can be incredibly painful and may require the interventions of specialists and medical professionals. In some cases, even surgery is required. However, because these injuries are not always “visible,” victims and families may struggle to get the help they deserve and need. Eells & Tronvold Law Offices, P.L.C. are neck and back injury lawyers in Cedar Rapids, Iowa who can fight for your rights. Is Your Back Pain the Result of a Recent Injury? Back pain can be caused by many factors, some of which may have nothing to do with your recent car accident, slip and fall, or workplace injury. One of the key questions your back injury lawyer in Cedar Rapids, Iowa will tackle involves distinguishing between prior back pain and back pain associated with your current injury. Negligent parties, insurers, or other lawyers may try to claim that your back pain pre-dated your injury. According to the National Institutes of Health, back pain can be caused due to the natural aging process, poor physical fitness, being overweight, heredity, your workplace, or exacerbated due to smoking. However, a car accident, slip and fall, or workplace injury can cause new injuries that could result in serious back pain that may require physical therapy, medical attention, or surgery. What can you do to protect your rights if you’ve been in an accident? Make a police report after any accident. Even if you don’t experience pain right after an accident, it is possible that you may be injured, so always make a police report. It is important that there is a record of the accident. Seek medical attention. Some forms of neck or back pain may take a few days before they become apparent. Slipped disk injuries may not be known right away. It is always a good idea to seek medical attention after any car accident, slip and fall, or workplace injury. Follow the instructions of your doctor. If your pain doesn’t get better, it is important to follow up and seek additional medical care. Document everything. Keep records and police reports of the accident. Document all conversations you may have had with negligent parties or insurance adjusters. Take photos at the accident scene and get the contact information of any witnesses. 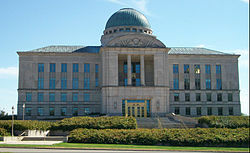 Speak to a back injury lawyer in Cedar Rapids. Eells & Tronvold Law Offices, P.L.C. are back injury lawyers in Cedar Rapids, Iowa who can help victims and families seek the recovery they may deserve under the law to pay for medical costs, lost wages, and pain and suffering damages. The back injury attorneys at Eells & Tronvold Law Offices, P.L.C. will take the time to review your medical records before and after your accident. We can gather evidence about the nature of your accident, speak to experts and medical professionals about how your accident may have affected your back, and present a strong argument to both insurers and negligent parties to support your financial claim. For instance, we may review your medical records for evidence of a ruptured disk or damaged ligaments. If you’ve suffered a back injury in Cedar Rapids, Iowa, don’t suffer alone. Contact Eells & Tronvold Law Offices, P.L.C. We may be able to help you seek monetary compensation for your injuries and losses. Whiplash. Whiplash can occur when a driver is rear-ended by another vehicle. The sudden jolt to the neck caused by these forces can result in pain. However, the pain may not be apparent right after an accident. According to WebMD, the symptoms of whiplash can take 24 hours to appear after your accident. Your symptoms may include neck pain, headaches, stiffness, pain in the shoulder blades, dizziness, mood changes, and problems sleeping. Whiplash can be hard to diagnose because it doesn’t appear on most tests. While whiplash symptoms typically resolve on their own, some individuals may require additional rehabilitation or pain medication to treat symptoms. Herniated Disk. In some cases, individuals may suffer a herniated disk due to their slip and fall or car accident. 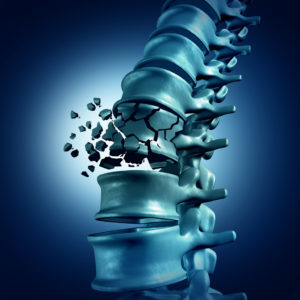 The bones of your spine are “cushioned” by a jelly-like substance. According to the Mayo Clinic, during a herniated disk injury, some of the “jelly” ruptures out, causing nerve pain, numbness, or weakness in the arms or legs. If you experience any of these symptoms, it is important to seek medical attention right away. Your doctor may begin with a conservative course of treatment, involving rest and pain medication. However, if you continue to experience pain, you may need injections, therapy, or in some serious cases, surgery. Spinal cord injury. In the most serious cases, individuals suffering neck injury may experience spinal cord injury. These injuries can result in paralysis and major lifestyle changes for victims and their families. If you’ve suffered a neck injury, it is important to seek appropriate medical care and assistance. Depending on the severity of your injury, you may need rest, rehabilitation, or surgery. If you are having trouble with medical expenses or making ends meet due to days missed from work, contact Eells & Tronvold Law Offices, P.L.C. Our back and neck injury attorneys in Cedar Rapids, Iowa work closely with victims and families, helping them fight negligent parties to seek the recovery they may deserve under the law.